Chadder is an RIT-based startup. 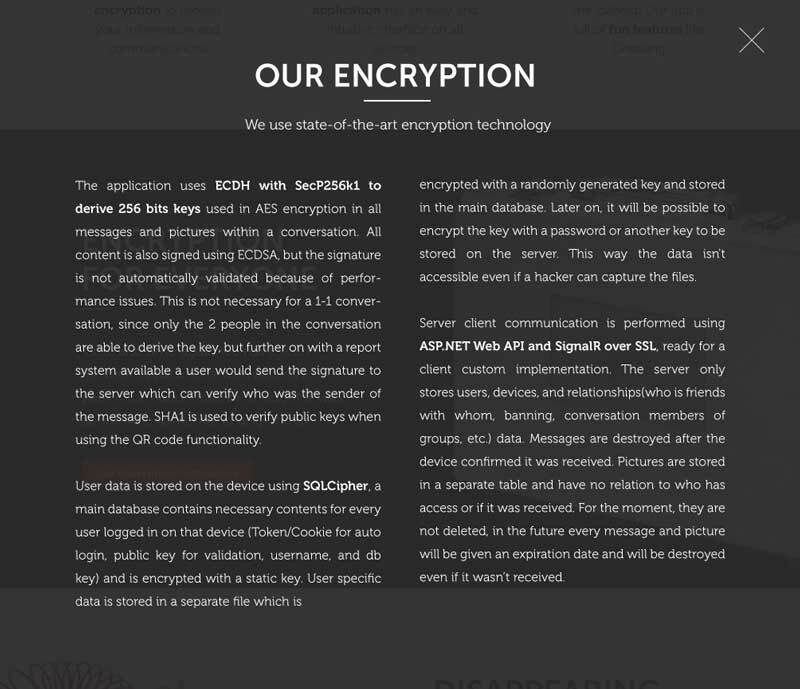 They created an end-to-end encrypted private messaging mobile application. In need of a site redesign, they approached me with the project.I designed the website for my GUI course project and continued on to develop the site on my own, until I helped officially launch the app at CES 2015 in Las Vegas. Utilizing a responsive approach, the site's main function is to increase app downloads. Currently featured on Product Hunt! Upon reflection, I decided that I wasn't invoking the emotional response necessary for a security-focused application. With some copy changes and some bolder colors and imagery, I came to a final solution. This was a bit of a sprint, since we only had about a week to prepare in between final exams and leaving for CES.Because of this, I had to nix some of the extra effects I'd intended, like parallax scrolling. I used Adobe Extract to quickly get critical information about colors, dimensions, etc. This was such a rewarding project! I learned about startups, got to pitch users and press in Vegas at CES, and got to do the design and development of the whole project. If I could go back, I would implement a different image for the final slide and it seems to stock image-y.